You’ve probably thought of it for a long time, but now is the time when you are convinced about bringing a dog home for the very first time! Assuredly, this embodies one of both exciting and perplexing new experiences which you are not prepared for, because you have never felt what it is to have a dog as a part of your beloved family. 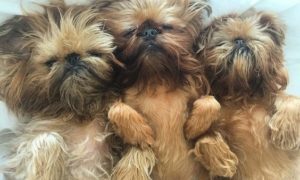 Even so, overstressing yourself is not the right way to go, as this is exactly what each dog owner felt when deciding to bring the first dog home. However, as many had revealed, the decision later turned out to be one of the most beautiful choices they ever made! Speaking of a rewarding dog petting experience, as a new dog owner, you have a lot to learn to ensure you don’t make the same mistakes as many first-time dog owners did with their first-time dogs. These mistakes, in any case, should not be misjudged, as they typically do not arise from the indifference of dog owners towards the care of the new addition to their family. Contrary, they came because of the need for prior knowledge regarding the human-dog relationship, dog’s behavior, character, and psychology. Although, something is unquestionable and common – anyone can have a dog, but only the ones who succeeded in coping within a dog-human relationship can be said to have been fulfilled. Therefore, having a dog is one of the most amazing things a human being can experience – and one must understand that the main responsibility for protecting and leading the dog properly is on people, not on dogs. Many experienced people can easily compare petting a dog to educating a child. This is because nearly the entire responsibility of a dog-human relationship is on the dog owner, rather than the dog. Thus, handling this relationship and teaching the intuitive creature how to properly adopt inside the commonsensical humans’ world is left to the dog owner. Below are some of the common mistakes new dog owners make and applied solutions in each case. The nature of the mistake: Not every dog that has a cute, adorable and stunning look is necessarily the right dog for you and your place. This is a very common mistake – people get into a pet shop and see an attractive dog that seems the right one, waiting for a home and a family. Without due consideration, they suddenly decide on getting it – like they are choosing on getting an entertainment toy! While this is wrong, it is important to note that dogs are not toys and there is much to watch out for in a dog rather than appearance, including his energy, size, learning abilities, emotional strength, grooming and much more. Avoiding the mistake: Don’t be pressurized by the eagerness to have that charming dog in the pet store or shelter. Research and do some background check. Through the internet, communicate with dog owners you know, or try asking professionals for some valuable information about different dog breeds. 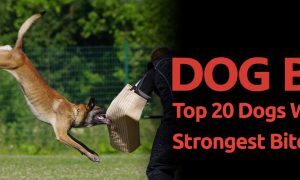 This informs and educates you on what to expect in your new dog. 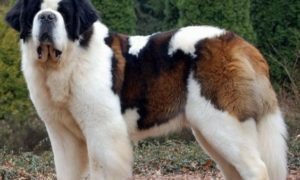 If you are looking for specific dog characteristics, such as a friendly dog, easy-to-train, less energetic, you might try searching for the breed within different breeds groups. Likewise, you might want to have a dog that is inside herding, sporting, non-sporting groups; or, if not, probably you might be looking for a dog that loves accompanying people – companion dogs – and so on. Apart from the breed characteristics of the dog, watch out for other vital aspects like the health, temperament and social character of it right before getting him home. The nature of the mistake: Dogs are very energetic, and classically, their energy is physical. First-time dog owners’ usually forget that they are the ones responsible for engaging their dogs physically, to get the dog to unleash their naturally stored energy. If dogs are kept passive and tired, they typically end up in behavioral, physical, and emotional problems, such as depression, obesity, anxiety or else. Avoiding the mistake: Other important regular things dogs need to do to function normally include engaging in exercises and games that help them in unleashing their overwhelming energy. Therefore, try to keep your dog engaged in physical exercises. While this may vary across dogs, the typical recommendation is to keep your dog busy for at least 30 minutes with aerobic exercise twice a day. The Nature Of Mistake: Dogs do not informally learn how to behave, and particularly not in a new environment, such as the human’s world. Most dog owners believe that their dogs will instinctively learn how to behave. As a result, they neglect the fact that the beloved dogs needs to be led and trained properly – in order to fit in human’s world. By avoiding obedience training exercises, your dog may end up having social, health, and emotional problems of a different nature. Avoiding the mistake: As you already have a dog home, the next step is making efforts to teach him who the leader is and who the follower is. This should be done by administering the right obedience exercises, where you show that you lead and he follows. 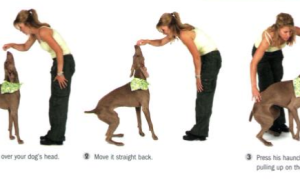 You can teach your dog respect, discipline, and commands that will make his integration easier. 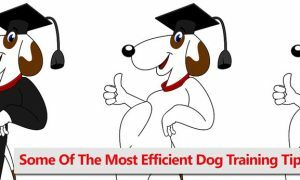 There are different internet sources (blogs, e-books, and videos) that you might use as sources of instructions on how to administer training and exercises for teaching your essential dog commands, discipline, and respect. 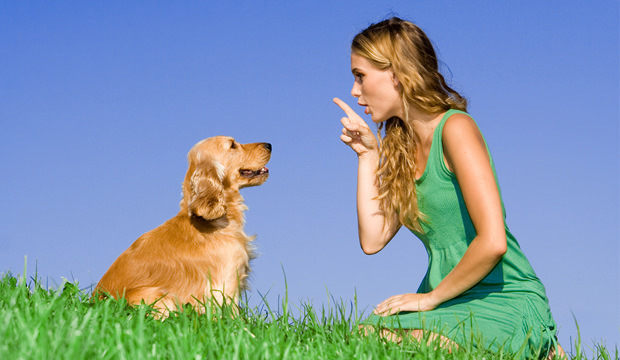 If you have any difficulties, consult a professional dog trainer who can offer specialized instructions and training. The nature of the mistake: Imagine that you taught your dog to wait until the door is closed before crossing, but he disobeyed this rule later, and in more than one instances. 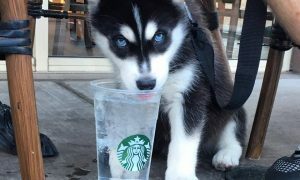 This is wrong, and you should make your dog understand that disobeying rules is bad. While humans may be allowed to break the rules once in a while, the same is not applicable to dogs. Once you teach your dog something, do not go back on such, else they end up becoming confused. The dog may even lose respect for you as a leader and end up not following your commands. Avoiding the mistake: Once you teach your dog something, try to keep it that way in any situation. This means that your dog wants rules and discipline that are consistent and you should be mindful of this always. Avoiding the mistake: Instead of giving your dog treat for no reason, try engaging him on a specific exercise and reward him for performing well in such exercises. Otherwise, never give the dog a gift when he is misbehaving or not executing the command correctly. The nature of the mistake: First-time dog owners forget how important socialization is for animals. 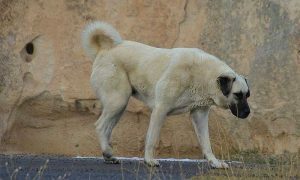 Therefore, they often keep their dogs in a closed environment surrounded by walls and a few known family members. This is wrong because a dog needs to socialize with other dogs and animals, as well as with different new people. When deprived of socialization, your dog can be depressed, violent, territorial, and protective, and might even end up having real health issues. Avoiding the mistake: Try to take your dog with you every day you walk to the park or elsewhere. Show him new places as much as possible and allow him to mingle with people and animals while giving him the chance to spend quality time with them. The nature of the mistake: Most people ignore the idea of adopting a dog from a shelter when planning on having their first dog. Instead, they prefer a pet store where they can get the dog of their choice for free. This is wrong because dogs kept for marketable reasons are prone to very poor conditions while in the store; something that affects their body and mind shape. Avoiding the mistake: Instead of using the pet store, simply adopt a dog and save him from the street. The nature of the mistake: Many people are thrilled by the idea of getting a dog, and they often fail to consider the things that matter. 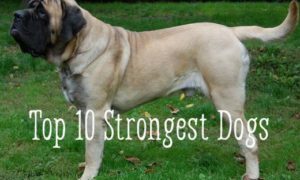 They only focus on the physical appearance while leaving out other important features of the dog, like the breed information, energy, and other essential points. They do not also consider if the dog they are getting is fit for the space they’ve provided and if he would behave well towards children; if the dog has allergies or grooming issues. All these are more important than the appearance. 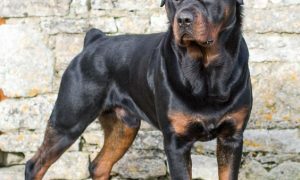 Avoiding the mistake: Dogs cannot be returned once taken, thus, it is best that you research ahead by consulting the internet and finding relevant information on dog breeds and their general and specific characteristics. In addition to the internet, books and professional instructions in this regard are quite helpful. The nature of the mistake: As a new addition to the family, it is possible that your new dog takes time to adapt, and in the process engage in some misbehavior. In such instances, rather than screaming at him, find a better and calmer way of showing the dog why the activity is wrong. Dogs get used to things quickly on their own, and screaming at the dog may make him nervous and furious. Avoiding the mistake: Instead of reacting impulsively towards dog’s troublesomeness, try giving a “No,” “Sit” or “Calm Down” command, to show him that his actions are wrong. 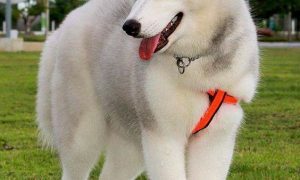 The nature of the mistake: Many people do not know that dogs are naturally not lonely creatures, thus, they leave dogs to wander around while they are at work, in a birthday party, in a two-day trip, or somewhere else. 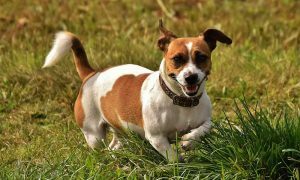 Leaving your dog alone at home to walk around freely can be destructive – it leads to monotony and disruption in happiness and similar disruptive activities. Avoiding the mistake: Instead of leaving your dog alone, try employing someone to watch over him, or send the dog in a dog centre for the time you are away home. It is not recommended to keep your dog alone for eight hours or even more. If you have a puppy that has never been alone, even for an hour, you may need to teach him how to be alone through a specific exercise.